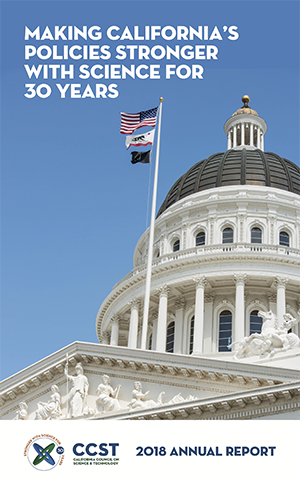 For the past 30 years, CCST has proudly served as the conveners and translators of scientific and technological knowledge for California’s leadership. 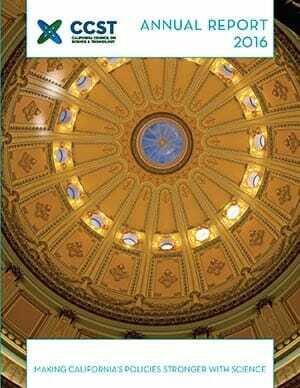 The very creation of the California Council on Science and Technology was called for by state legislators themselves – a coalition led by then-Assemblymember Sam Farr and then-Senator John Garamendi, who in 1988 recognized the need for science to help inform policy. 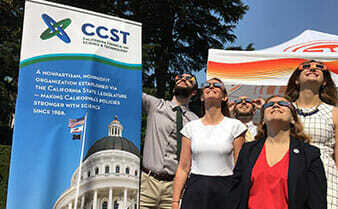 California’s policies are stronger with science, and CCST is uniquely qualified as an organization created via the Legislature to convene a statewide network of experts across disciplines and institutions. As this coordinating body, CCST can provide impartial expertise that extends beyond the resources or perspective of any single institution. 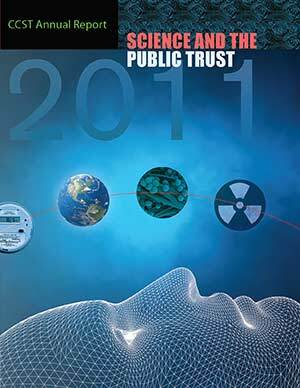 2018 marks CCST’s 30th anniversary, and the 10th anniversary of the CCST Science and Technology Policy Fellowship. 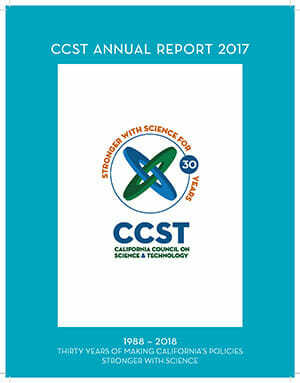 This report contains an overview of CCST’s activities in 2017, and also a retrospective overview of CCST’s activities and impact since its founding. 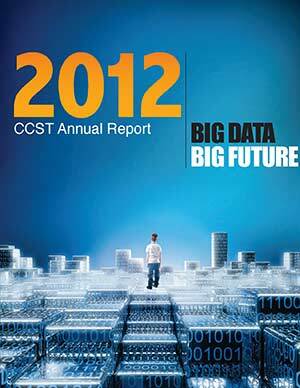 Revisit CCST's 2018 activities in this Annual Report. 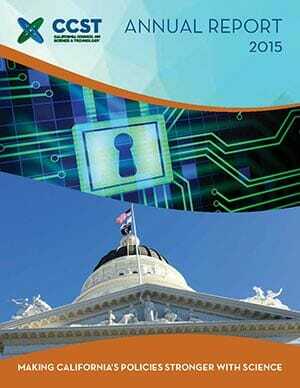 CCST's role is to be a resource for complex policy issues in regards to science and technology in California. 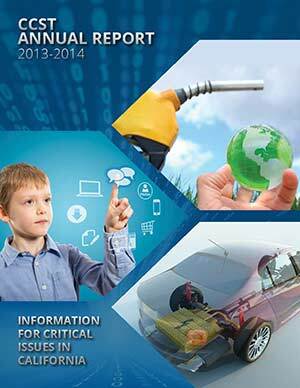 This is an overview of our activities from October 2014 through December 2015. In some cases, there is the possibility of solving highly complex technical problems, such as environmental management, in a more systematic way. 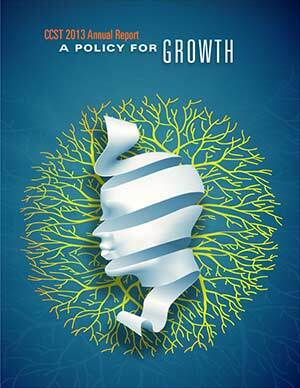 Public policy issues involving science and technology are often daunting in scope and complexity.